Olympic diver Tom Daley and his film producer husband Dustin Lance Black have become dad’s as they welcome a baby son. The couple announced the birth of their son via a super sweet Instagram post showing the little boy’s tiny toes. Tom and Dustin decided to dedicate their new additions name to Tom’s late father Robert, who sadly passed away back in 2011. Daley’s husband, 44-year-old, Dustin Lance revealed the birth of his son on Instagram too with an adorable shot of the two new dad’s holding their baby. A big congratulations to the two new dad’s, we know they’ll do an amazing job!! 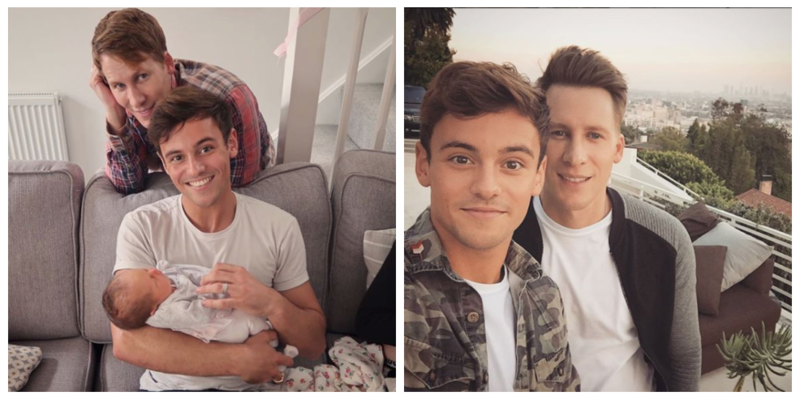 Images: @tomdaley and @dlanceblack on Instagram.